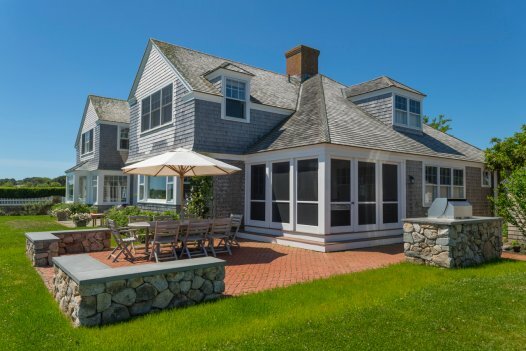 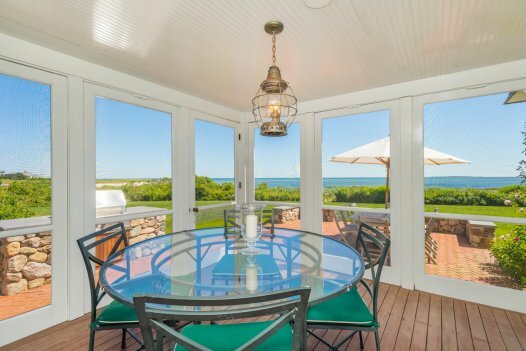 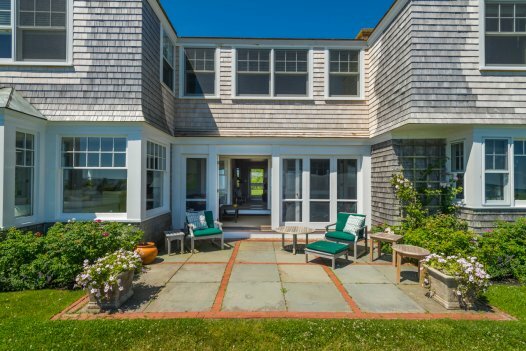 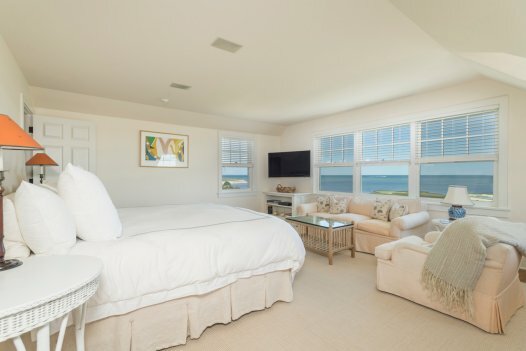 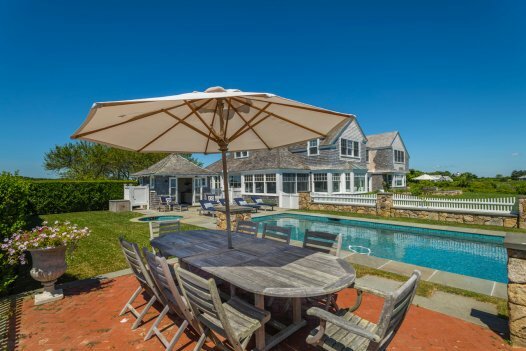 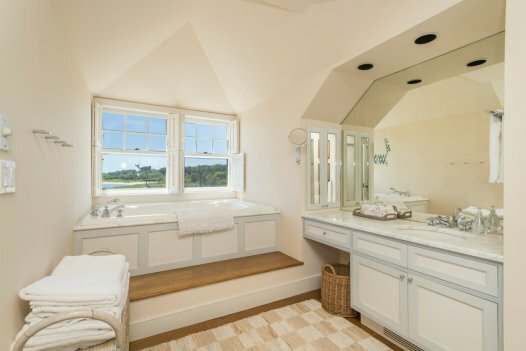 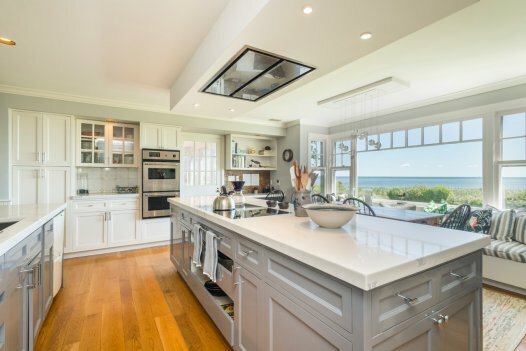 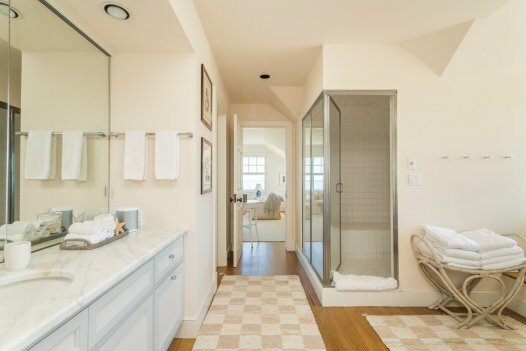 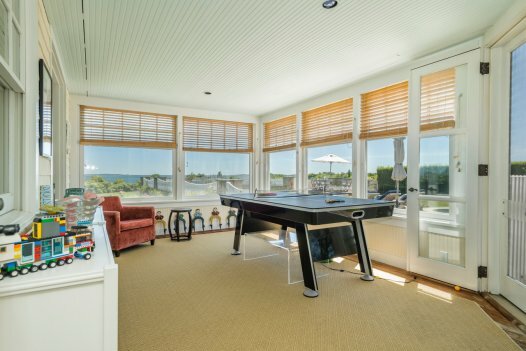 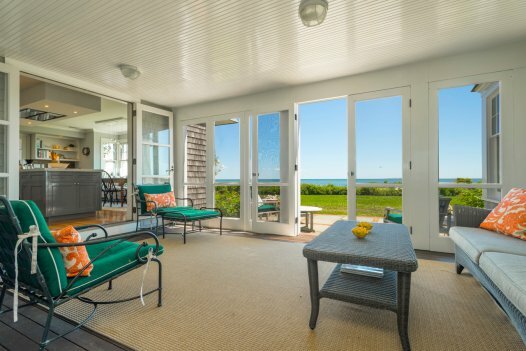 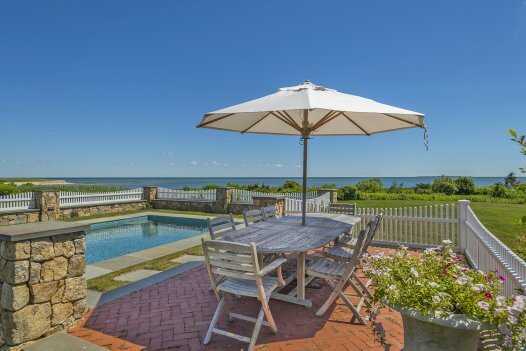 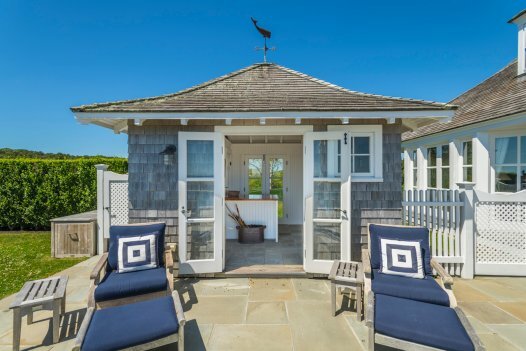 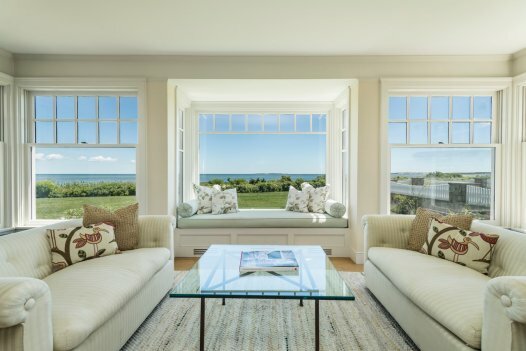 This residence is one of Martha's Vineyard's premier waterfront rental properties, and one of few with a pool on the waterfront. 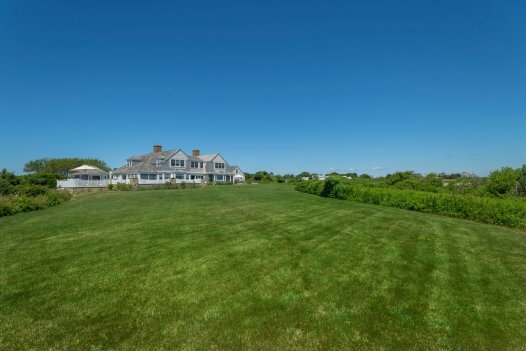 There are spectacular views, beautiful grounds, a pool with a stonewall surround and gardens, a 6-bedroom, 6-bathroom residence with spacious rooms, including a very large eat-in kitchen, formal dining room, living room with fireplace, TV/Reading Room, Piano Room, and a Sunroom/Playroom, and Powder Room. 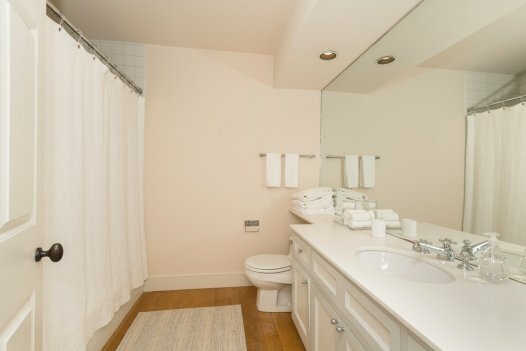 One Bedroom and Full Bathroom are on the first level and Five Bedrooms and Four Bathrooms are on the second level. 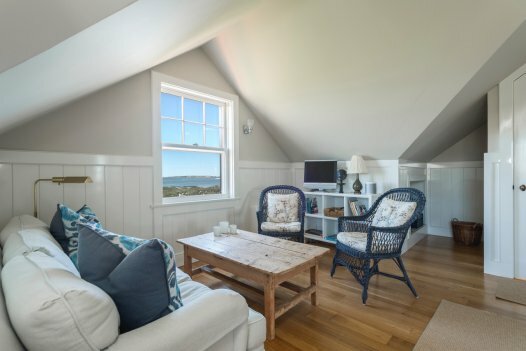 There also is a sweet Carriage House attached but separate from Main Residence, with sitting room, sleeping area, and full bathroom. 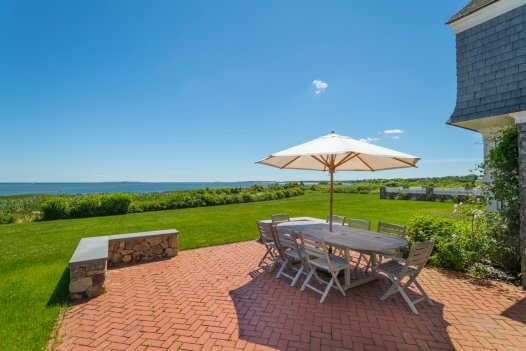 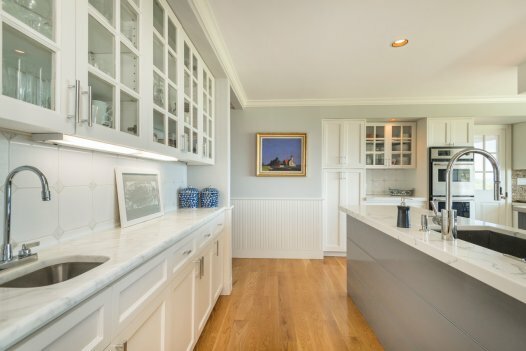 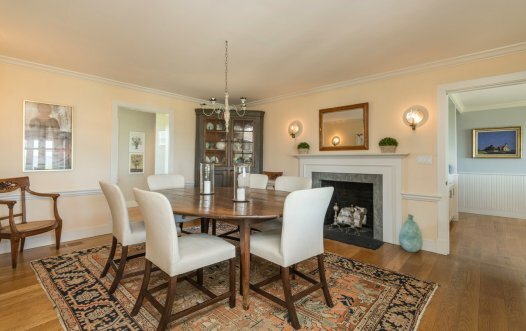 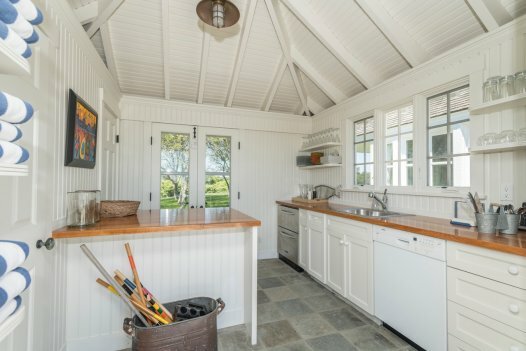 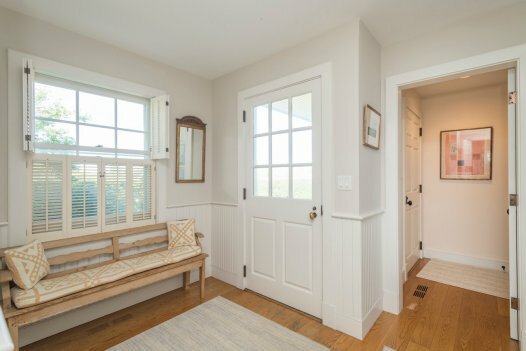 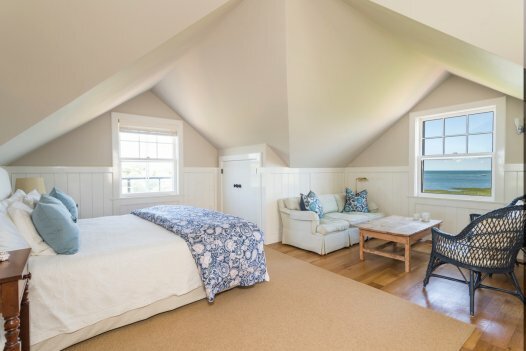 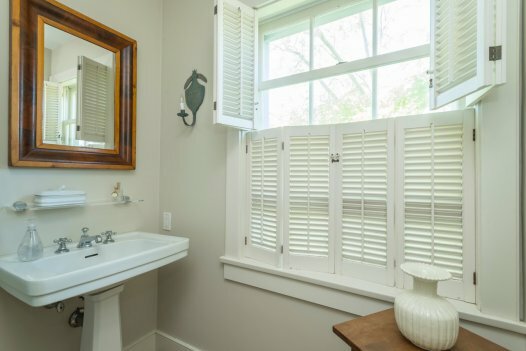 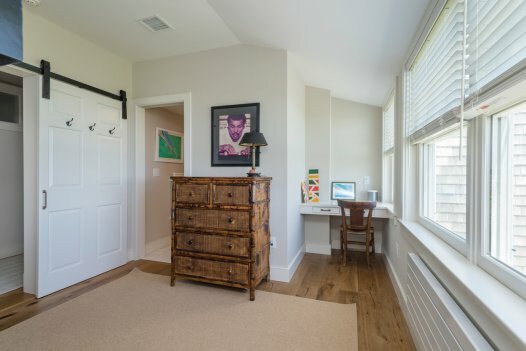 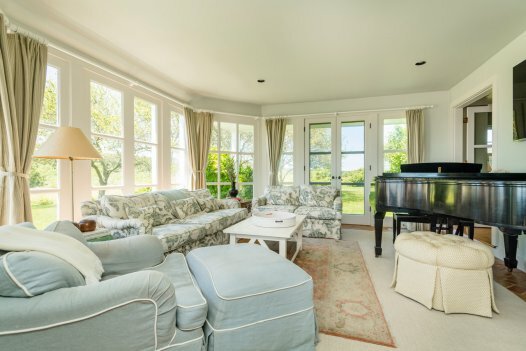 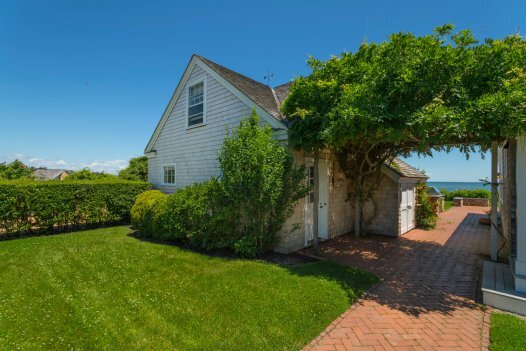 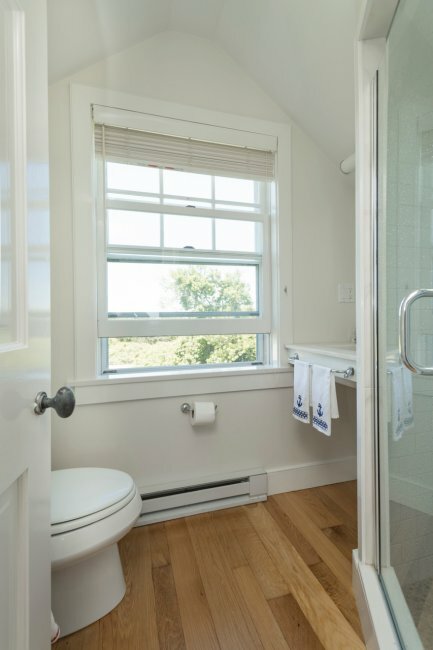 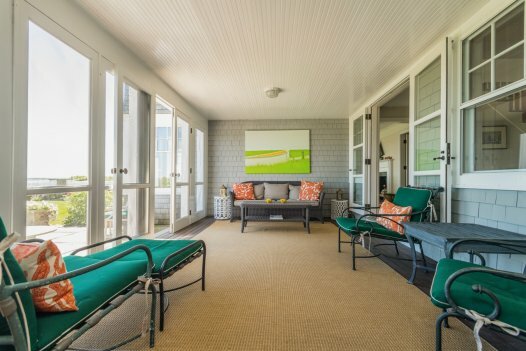 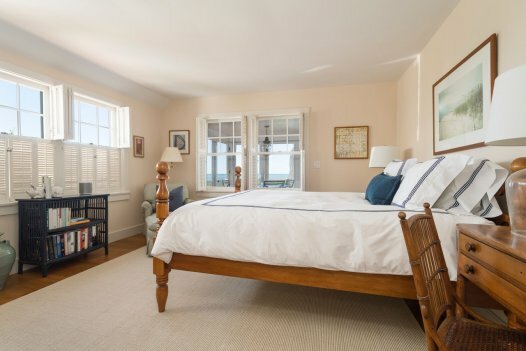 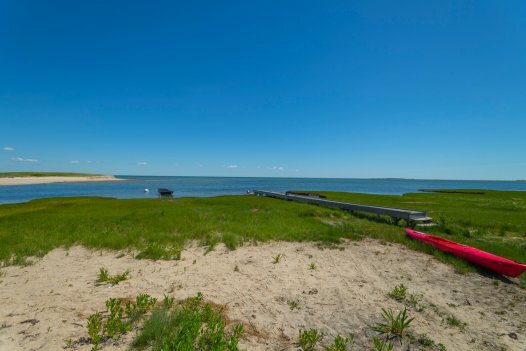 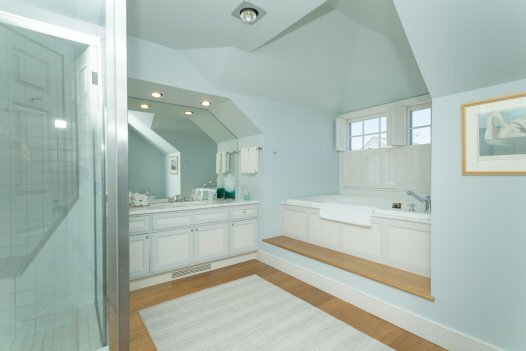 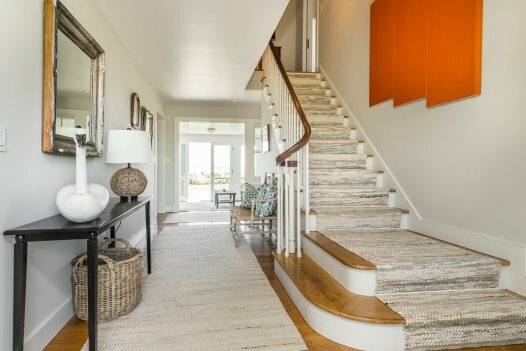 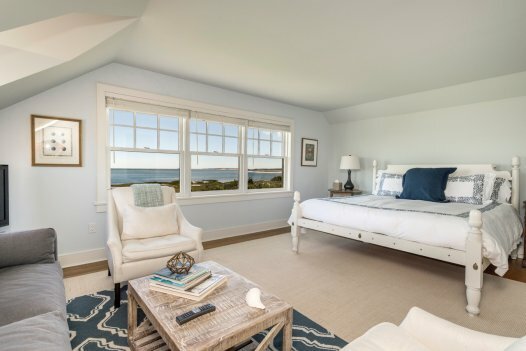 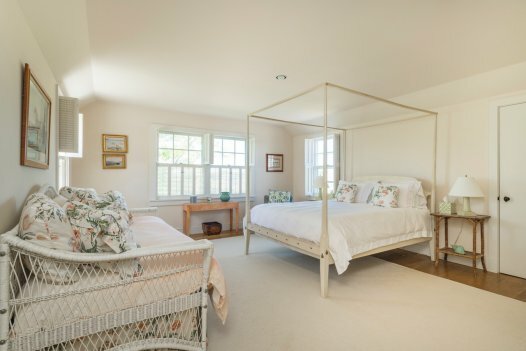 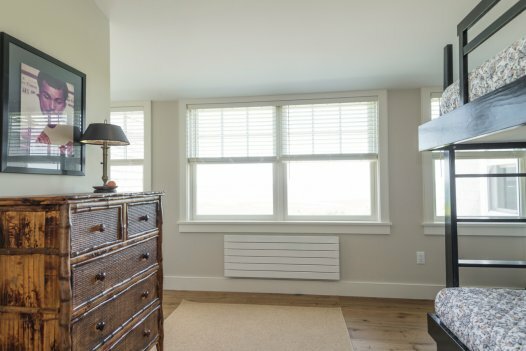 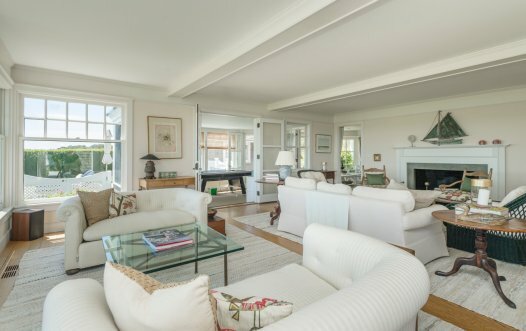 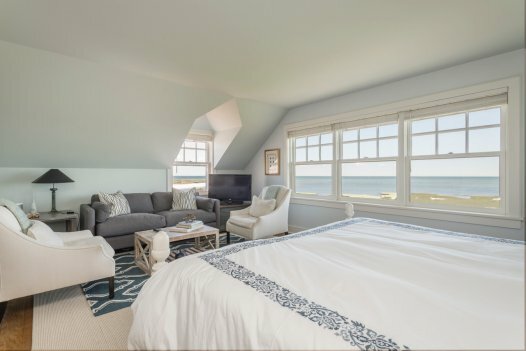 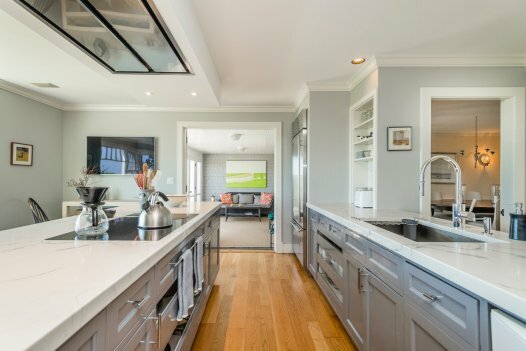 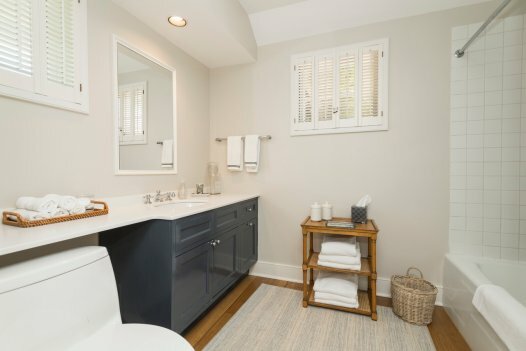 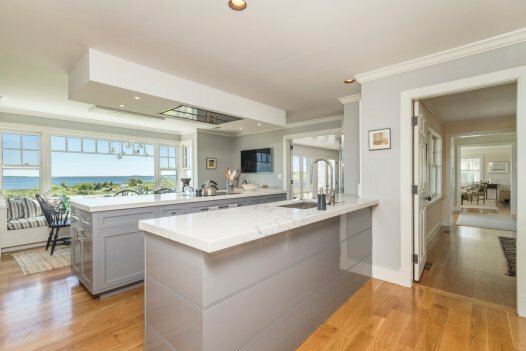 The property is located in Edgartown in a private, lush area far from the maddening crowds but close to the charming yachting center so one can walk and bicycle or not have far to go to shops, dining and theater!